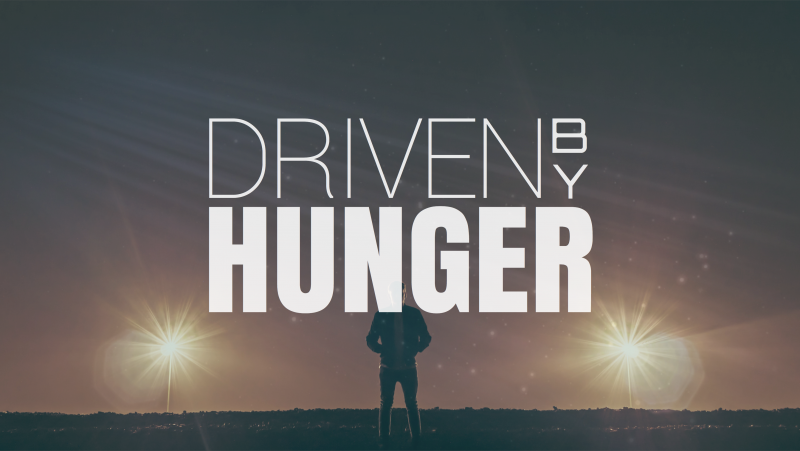 Proverbs 16:26 GW "A laborer's appetite works to his advantage, because his hunger drives him." All of these components are propelled by HUNGER! Our born again spirit cries out for more of every aspect of God. Luke 6:21 TPT "How filled you become when you are consumed with hunger and desire, for you will be completely satisfied." We will never be satisfied by anything else but seeing God manifest. Hunger (Dictionary): "To have a strong desire or craving for." Matthew 5:3 NAS "Blessed are the poor in spirit, for theirs is the kingdom of heaven." Revelation 3:15-21 NAS "'I know your deeds, that you are neither cold nor hot; I wish that you were cold or hot. 'So because you are lukewarm, and neither hot nor cold, I will spit you out of My mouth. 'Because you say, "I am rich, and have become wealthy, and have need of nothing," and you do not know that you are wretched and miserable and poor and blind and naked, I advise you to buy from Me gold refined by fire so that you may become rich, and white garments so that you may clothe yourself, and that the shame of your nakedness will not be revealed; and eye salve to anoint your eyes so that you may see. 'Those whom I love, I reprove and discipline; therefore be zealous and repent. 'Behold, I stand at the door and knock; if anyone hears My voice and opens the door, I will come in to him and will dine with him, and he with Me. 'He who overcomes, I will grant to him to sit down with Me on My throne, as I also overcame and sat down with My Father on His throne."